Hey guys, my name is Brenden Bytheway. I’m a song writer, producer, and recording/mixing engineer. I’ve been able to have my music heard by over 1 billion people. I’ve been lucky enough to have songs featured in some of the biggest TV shows, worked with top celebrities, and some of the biggest names in the industry. I’ve produced music and done audio work for some of the world’s top brands. Working with these clients has taught me a lot about audio production and the music industry and I want to share the secrets I’ve learned with you. When I first started making music I had two major frustrations. First, I didn’t know how to get my songs to sound as good as they did in my head. Second, I didn’t know how to have my music heard by more than 5 people. 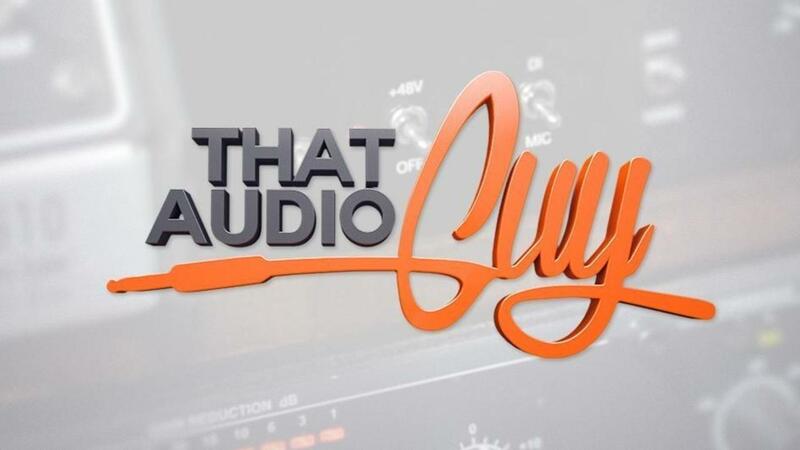 That's exactly why I created That Audio Guy, because I wanted to create a solution to help YOU become That Audio Guy! Sign up now and start down your path to becoming an audio expert! 160+ no fluff, straight-to-the-point videos teaching you everything you need to know from getting started in your DAW to mixing and mastering your own music to get that pro-level, radio-ready sound. The Music Producer Suite also includes THE BUSINESS videos so YOU can start making money with your music. How would it feel to make money with your music? Here you'll find the most detailed pathway of how to start, grow, and market your business. I also show you the exact networking method I've used to get my music in front of over 1 billion people and work with top brands like Adobe, Ford, Canon, and Mattel. How to work with a client when they have a "tight budget"